United Spay Alliance is a national animal welfare organization dedicated exclusively to promoting affordable, accessible, and timely spay/neuter services as the solution to the crisis of cat and dog homelessness. We are proud to have partnered with them to form Spay PA! Nature's Variety has been so generous to us, and we couldn't be happier to have them as a trusted partner. If you are looking to give your pet the very best, Nature's Variety is passionate about providing pure and authentic nutrition. 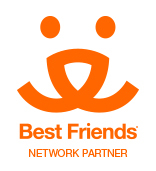 As a Best Friends Network Partner, The STAR Project is part of the No More Homeless Pets Network which is comprised of animal welfare and sheltering organizations nationwide committed to saving lives of homeless pets. Visit Treat Dreams for healthy, yummy treats for your dog and clothing you! We are proud to have been named the Rescue of the Month for November 2016! Thank you, Treat Dreams! The STAR Project is an official BarkGood Partner! When shopping at BarkBox, use coupon code STARPROJECT at checkout and we receive a $25 donation for every subscription ordered! Use code STARPROJECT at BarkShop.com and we will receive 10% of the purchase price back! 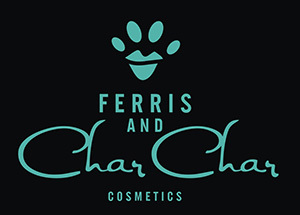 The STAR Project has teamed up with Ferris and Char Char Cosmetics, an amazing company in Canada that creates high quality make-up free, from animal testing. Visit their site to support animal rescue organizations and shelters across the country! Whether you need in-home dog boarding, pet sitting, dog walking, or day care, Rover connects pet parents with people who’ll treat their dogs like family. And with over 92% of the population living within a short drive of one of the 65,000 sitters who’ve listed their services on Rover, it’s easy to find someone you and your dog will love. We've been accepted into the Bissell Partners for Pets Program which will give us an opportunity to raise funds for our cause! When shopping at Bissell.com, enter code ADOPT at check-out and choose our organization from the list of participants. It's that easy! LostPetUSA.net is an amazing national resource if you've lost a pet, or found a pet. Visit their site for more info! Who doesn't love a T-shirt? By purchasing Animal Hearted apparel, you're helping a great cause! Use code THESTARPROJECT at checkout.